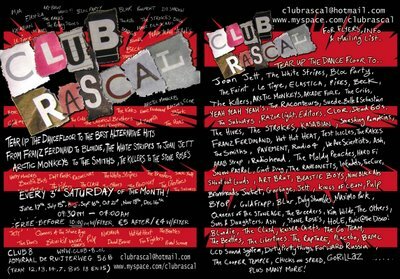 Club Rascal Indie Disco: Double Indie Disco Action! 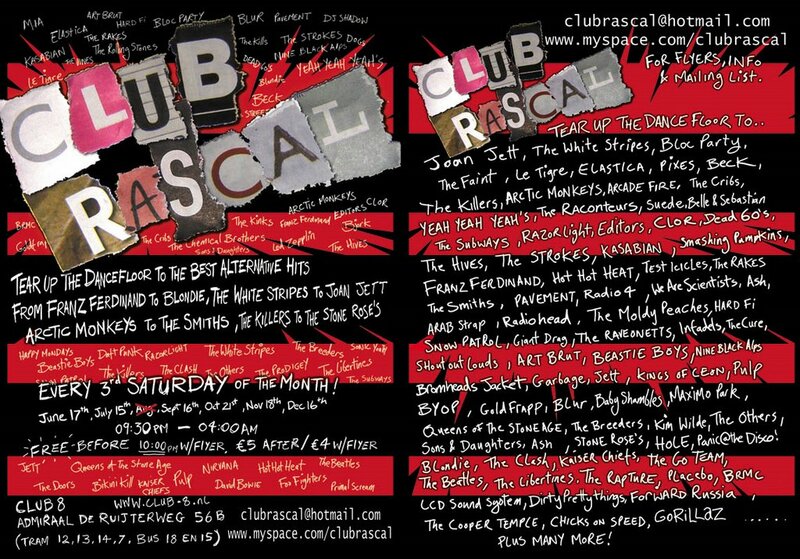 This week see's the Rascal DJs playing not once but twice this week! Yep as it's the 3rd Saturday of the month we will as ever partying the night away spining all your favorite indie tunes on the top floor of club 8. Once again thanks to everyone who has been coming to and supporting CR over the last 12 months, lets rock on another year! Print out flyer to get in free before 10.00pm!